WAIKATO/ E NGĀ / POUTOKOMANAWA / MOE A MAI / TE WERO. 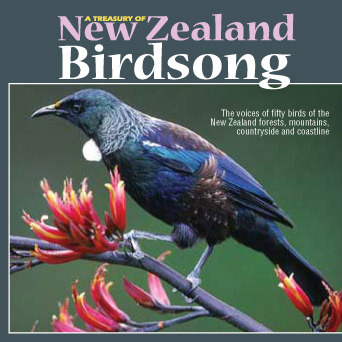 This song in traditional form by the people of Ruapehu relates the native birds of New Zealand to a religious theme. A medley of songs, three of which were composed by Queen Victoria School’, the fourth. 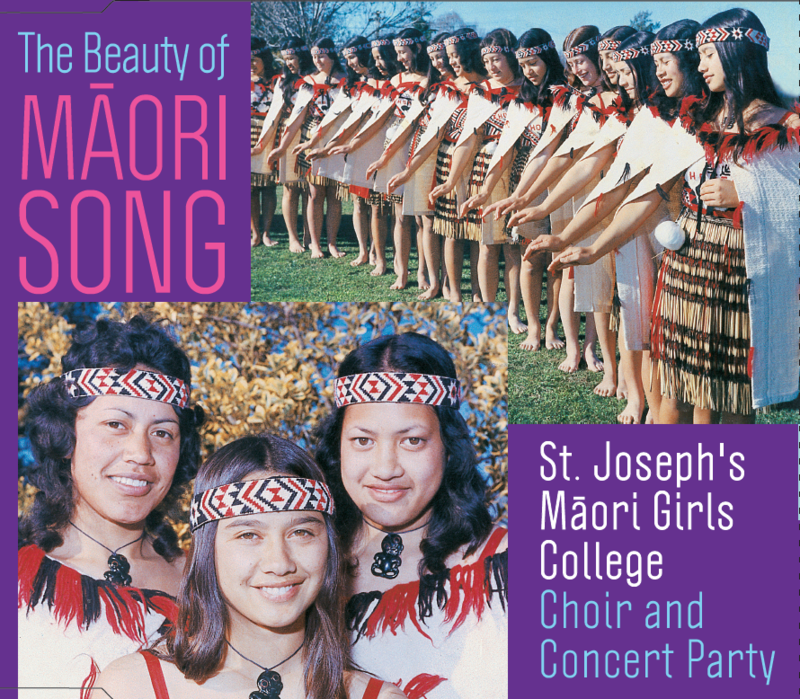 , ‘Te Wero’, by St. Joseph's Māori Girls’ College, Napier. ‘Waikato’ honours Queen Te Atairangikāhu and the Waikato people; the second song refers to elders, parents and teachers; the third is a lament based on traditional form; and the last is a challenge to preserve Māoritanga. This traditional waiata, from the people of Ruapehu has as its theme the death of the Messiah. A story for children, with words by Sydney/Hirini Melbourne about the approach of a storm and a warning to the Kingﬁsher and the Worm to return to their homes lest they perish in the foods. The first of this bracket, by Noingoi Pēwhairangi of the East Coast is an acknowledgment to all tribal areas of New Zealand; the second by Paul/Paurō Māreikura of Ruapehu is a women's haka. 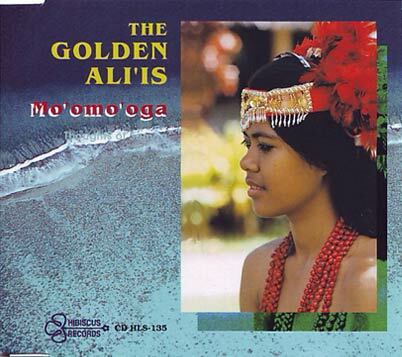 A canoe-hauling song in which the poi are used to express the strongly rhythmic pattern of the exercise. This song expresses gratitude to all supporters of the school. In this two-part item, by Sonny Abraham of Queen Victoria School and Joseph Te Rito of Omahu, the first part (traditional chant pātere) tells of the land struggle of the Māori; the second part (a modern action song) is a call to Māori hold on to their land‘. 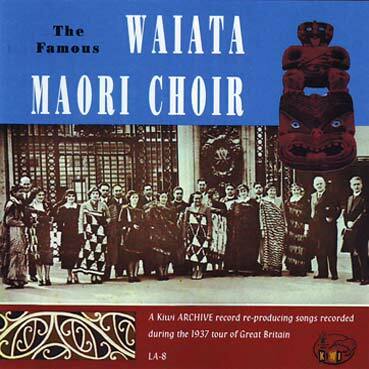 Tuini Ngāwai, the noted East Coast writer of action songs set this one to the tune “Love Walked In“ during World War II, for the 28th Māori Battalion. Performed as a short poi this closing item is by Te Oka of Mā-wai-Hākona and relates the folk-tale of Rona who was drawn up to the moon. Recordings of the Queen Victoria School cultural group made with the approval and cooperation of the Principal Miss Judith Clifford. Cultural group leader: Te Miringa Rāwiri. Tutor for cultural group: Mr Sonny Abraham teacher of Māori language at Queen Victoria School. Queen Victoria School in Parnell, Auckland was an Anglican secondary boarding school for girls. It had its beginnings in a pre-1848 Māori girls’ school opened by the Rev. G. A. Kissling in Kohimārama. Later it was opened to pupils of all denominations and cultural backgrounds, providing a sound general education with an integrated programme of studies, activities and experiences, to enable the cultural, spiritual, intellectual, physical, and emotional potential‘ of each girl to be fully developed. 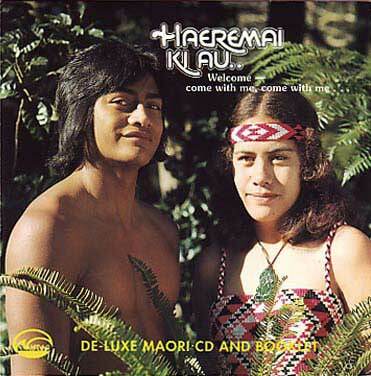 Along with other subjects, Māori language, art, crafts and culture is fostered and taught at all levels. Contact is maintained with local maraes and by helping at huis, attending tangis and visiting other maraes throughout the North Island, the pupils gain meaningful experiences and the opportunity to experience the living culture. 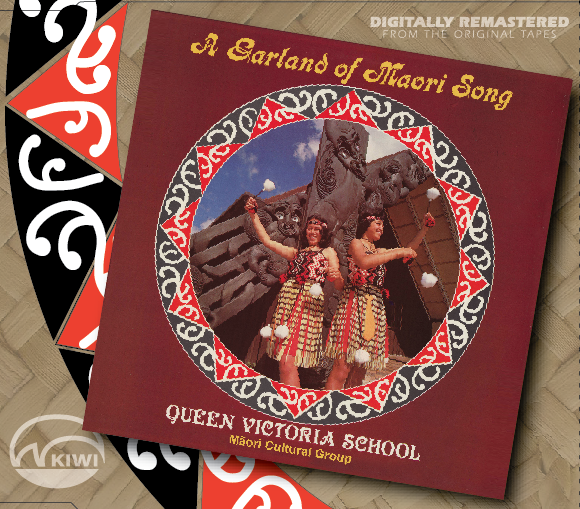 In a unique cultural exchange exercise a group of 40 girls visited North America in 1979 performing at several key points an exhilarating programme similar to the one presented on this record. Technical production and recording: John Ruffell.